Very hot sharp initially with lots of peat and spices quickly rushing in. Yet almost as a contradiction as there's lots of it, the peat is not overwhelming nor is this dram to tcp tasting. This is probably largely due to the sweetness that also comes in along with smoke and wood. Very short aftertaste. A fine whisky but alas a bit too sharp/hot for my tastes. A very well made, decent whisky, well balanced and to the point. 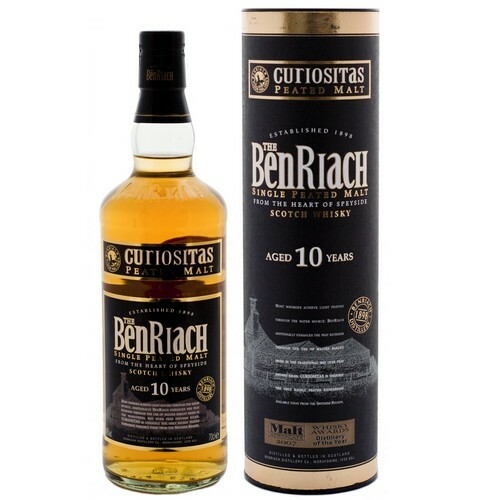 Perhaps not the most complex or spectacular BenRiach, but it's rather flawless and a solid malternative for a peated Islay, as it is not unsimilar to say, Bowmore Tempest. 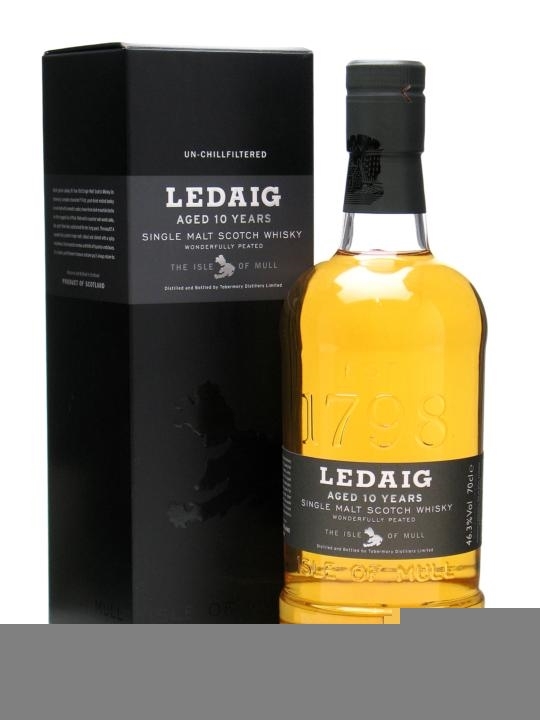 Peaty on the nose, with some soft smoke joining in. Some ripe fruit (apple, apricot, sweet pear) with a hint of nutty spices in the background. the nose continuous, but it's more integrated, a well balanced amalgamation of the different notes I picked up in the nose. With a drop of water the taste becomes drier and a bit ashy. Medium long, peat and smoke. Softly fading on a dry note. With water the finish becomes softer, less dry and a bit more fruity. Eiche ist spürbar, leichte Bitterkeit, die diesen Whisky sehr spannend macht. Rauchig, blumig. Torfig und fruchtig im Geschmack, leicht würzig. Relativ langer Abgang. Nicht unbedingt schlecht, aber zu undefiniert; es fehlt an "Mitten"
Toller leivht rauchiger Whisky. Perfekt um einen warmen Sommer-Abend ausklingen zu lassen. Jung, spritzig, frisch, herrlich. did i get a bad bottle? this whisky does not taste right me. Wow plenty of peat and smoke in this one I like it. 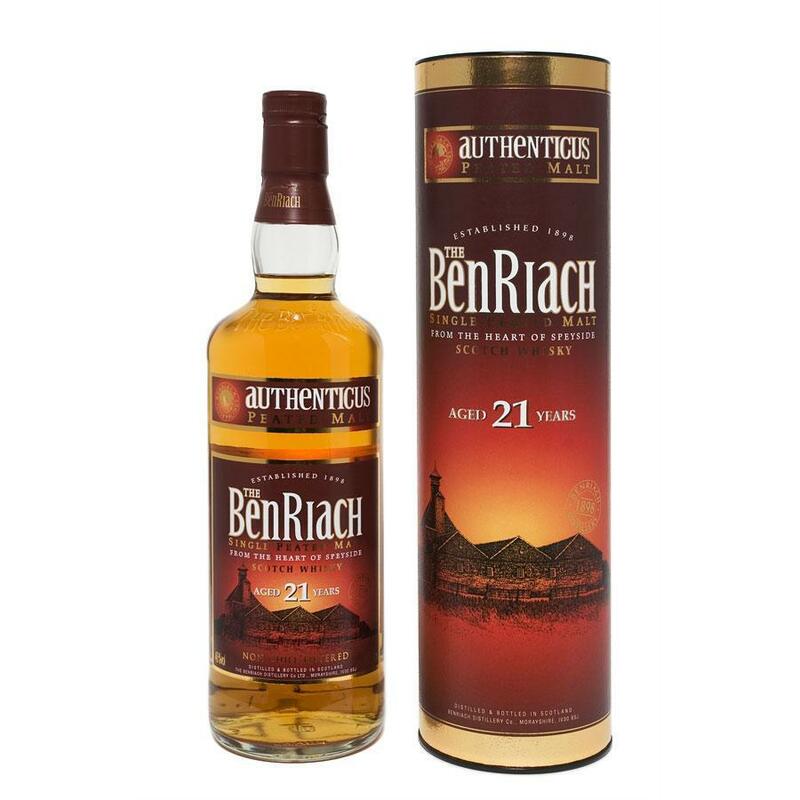 Unusual, smoky and fruity BenRiach. Great summer dram. Good Value. First impression was pineapple, light smoke with a touch of oak. Very interesting and unique combination. Pineapple again, even stronger and sweeter than the nose. Smoke is decently there. Smoked ham? Toast Hawaii? Short to medium. The Pineapple is gone fast, smokiness remains a while longer. smoky on the nose, also a little sour. big peat on the taste but not overpowering. subtle fruits afterwards, then finishes with alot of spices! excellent whisky! Peaty and speyside,but lack some islay falvor. Peated, should be good for cooking.